Motor vehicle accidents involving large trucks and big rigs often cause much greater property damage and personal injuries than a passenger car accident. The average weight of a passenger vehicle is about two tonnes, while a semi truck can weigh up to 40 tonnes or more. 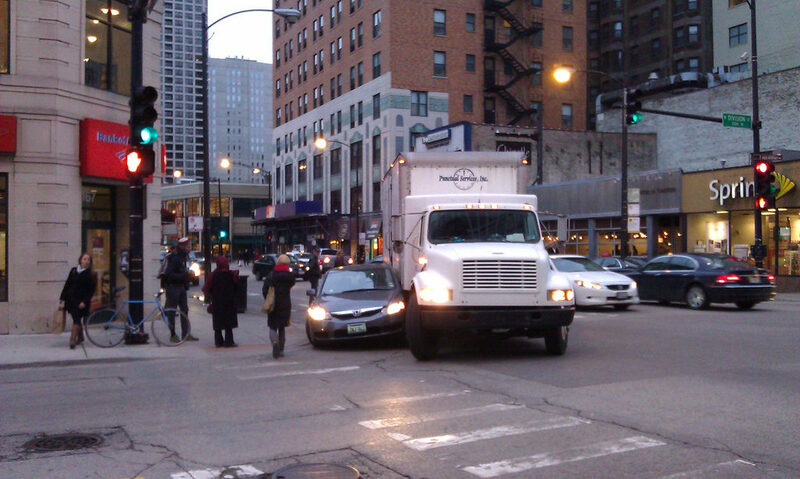 Due to the large size and weight of big rigs, maneuvering can be particularly challenging for truck drivers, especially when enduring harsh weather conditions of moving through a busy city. The amount of force and momentum that can come from a truck accident can, unfortunately, cause catastrophic injuries, even when traveling at slower speeds. Since semi-truck drivers are usually contracted by a company and checked for maintenance by another, determining who is liable for a truck accident can vary case-by-case, and be a bit more complex than passenger car accident claims. For example, if an accident was caused by truck driver negligence, you may be able to pursue a claim with the driver’s insurance company or their employer’s insurer. 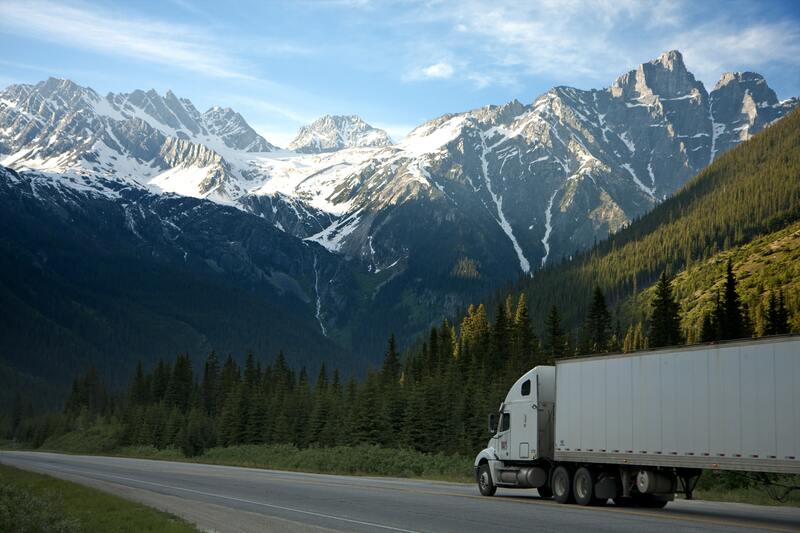 If the accident was caused due to a part malfunction, as can be the case with jack-knife truck accidents and removing front brakes, the party responsible for removing such parts can be found liable for the accident. Understanding the complexity of determining liability in these types of accidents can be difficult, which is why we’ve included a list of common truck accidents and who may be held liable. When in doubt, it’s best to seek the advice of an experienced truck accident attorney to help investigate your claim and seek compensation from the appropriate party. Explanation: This happens when a truck driver brakes quickly and abruptly, causing the trailer portion of the truck to skid forward and outward, creating a 90-degree angle towards the front of the truck. Who may be liable? : Liability in this type of accident depends on determining what caused the vehicle to jackknife. If the truck driver was going over the speed limit and did not leave enough space for the car in front of them, which led to them slamming on their brakes and jackknifing, liability would likely fall on the driver in this case. If the accident was caused by the absence, removal, or de-powering of the front brakes in a semi-truck, than the part responsible for removing the brakes or inadequately replacing them could be liable. Consulting with a truck accident attorney after this type of an accident would help ensure it is properly investigated and you can pursue a claim with the correct party. 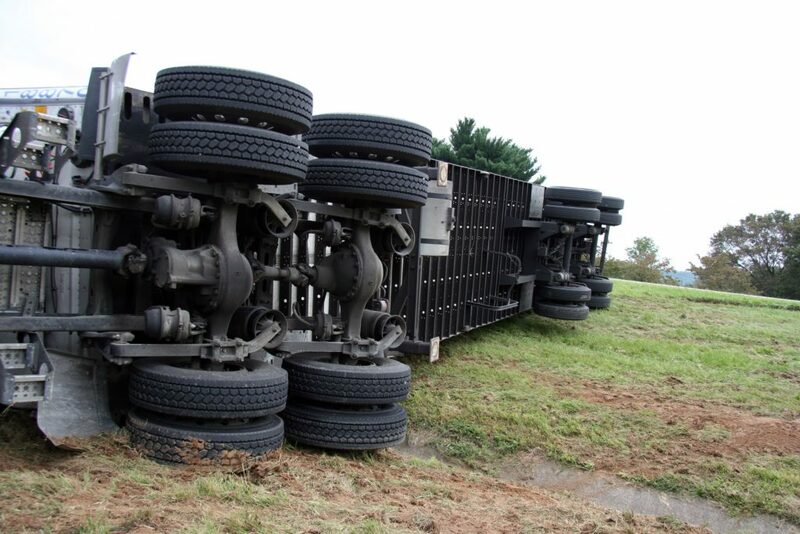 Explanation: This occurs when the driver of a truck loses control and the vehicle slides and rolls over on its side. This can be particularly dangerous for other motorists as the momentum of the truck, depending on how fast it was traveling, can cause the rolled over vehicle to travel on its side and take out innocent bystanders. Who may be liable? : This can sometimes result from harsh weather conditions, like icy and slippery roads. If the city failed to keep the roads under these conditions safe -such as removing snow pile up, etc- the city could be liable. 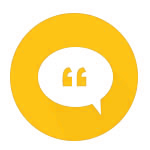 If it was due to driver inattention or error, the claim may be filed with their insurer. If it were due to vehicle malfunction, the manufacturer may also be held accountable. Explanation: Maneuvering a large semi or commercial truck in a heavily populated area can be very challenging for truck drivers. In order for a driver to make a wide right turn, they must first swing the front of the truck left before gearing right. As you may have witnessed, this can be difficult to do in densely populated areas. Explanation: Across the board, tire blowouts are a major cause of motor vehicle accidents throughout the country. Due to the amount of weight 18-wheeler trucks have to sustain, tire maintenance is extremely important to a truck’s routine maintenance. Particularly when traveling long journeys, truck tired should be adequately checked and replaced when needed. Who may be liable? : Poor maintenance of tires can lead to tire blowouts, which typically is the responsibility of the owners of a truck company. If a tire blowout led a truck driver to lose control of their vehicle and caused a crash, the truck company may be to blame. If this has happened to you, explain this to an experienced attorney for further investigation. Explanation: Truck drivers who fail to give enough space between the car in front of them, especially on slippery and ice road conditions, can lead to rear-end vehicle accidents. Who may be liable? : As mentioned above, the size and weight of a big sig and semi-truck can make it difficult for truck drivers to brake and quickly turn into a catastrophic accident. Driver miscalculation, inattention or negligence are typically the causes of these types of accidents. 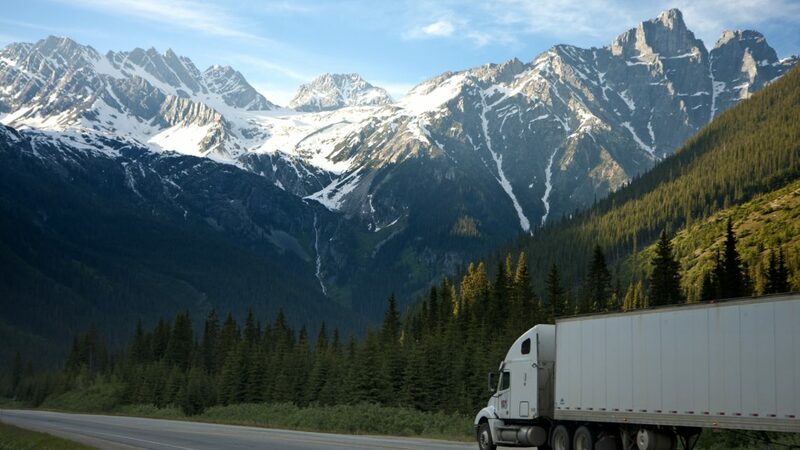 However, if the accident was caused due to a company’s failure to properly maintenance the semi-trailer, or removal of certain brakes, than the trucking company could be the one liable for the accident.